The St Andrews Farmers Market is held on the first Saturday each month from 9am to 1pm, and several festivals take place in and around St Andrews throughout the summer, including the St Andrews Highland Games on 31st July. The Eden Mill Distillery and Brewery and nearby Kings Barns Distillery are well worth a visit for any whisky enthusiasts that are paying us a visit. For the historians there are many great sites to explore – like St Andrews Cathedral, St Andrews Castle, and the ruins of Blackfriar’s Chapel, and some interesting museums. Enjoy the sunshine exploring the Hill of Tarvit Mansion House and Gardens. The beautiful Edwardian mansion house is set in 279 acres and houses a fine collection of antique furniture, porcelain, and paintings. For keen walkers, Craigtoun Country Park and St Andrews Country Gardens are a great example of how to spend a summer in St Andrews. You’ll also find cycling routes and guided walks, beautiful beaches, a swimming pool, and water sports for the children, and (a short journey inland) the Barbarafield Riding School for all ages. There’s St Andrews Aquarium, and the Scottish Deer Centre – home to seven species of deer from around the world and many other animals (including the rare Scottish wildcat). And of course the seven beautiful golf courses for which St Andrews is world famous. Finally, St Andrews has two spas – The Kohler Waters Spa in the Old Course Hotel and the Signature Spa in the Fairmont Hotel – a wonderful way to discover how to spend summer holidays in St Andrews. 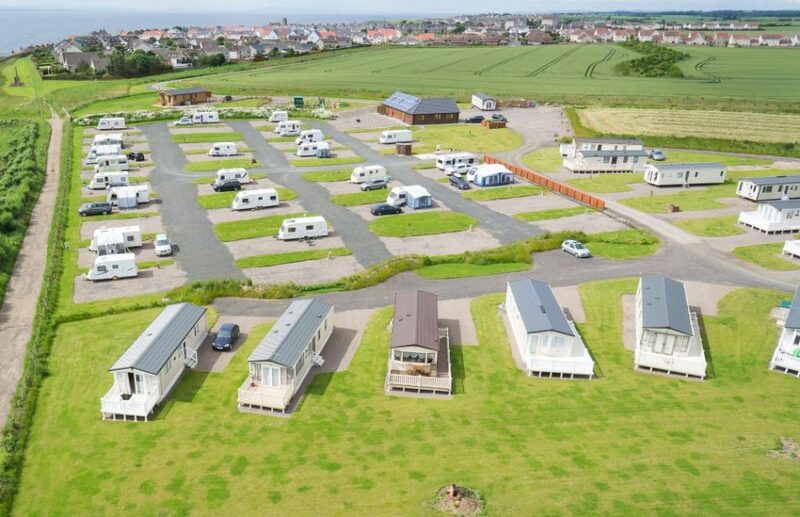 If you are looking for caravan parks near St Andrews then why not come and stay here with us at Silverdyke Park? We offer superb facilities and we overlook the sea. If you enjoy regular holidays in St Andrews then why not look at our luxury lodges and holiday homes for sale? Just get in touch or call 01333 313098 and we will be delighted to help! Held in June every year since 2011, the Crail Food Festival is a much anticipated summer event that attracts visitors from all over Scotland and beyond. The festival takes place over three days at venues throughout Crail, and this year it will be held from Friday to Sunday – 10, 11, and 12 June. A day ticket costs £5, with free entry for children under 14. Call into the Crail Town Hall from 9.30am to get your tickets. On Friday 10 June the Grand Launch Party takes place at the Crail Community Hall from 7pm. Saturday 11 June gets underway at 10.30am with the Producers’ Market at the Community Hall; the Cookery Theatre at the Kirk Hall; and the Chocolate Larder at Marketgate all open until 4pm. From 11am until 4pm ‘Ask the Chef’ gets underway at the Legion Hall, and the Children’s Tea Party is on at the Marine Hotel. There is Street Food and Music at Marketgate from 11.30am until 3pm, and the Saturday Evening Dinner takes place at the Kirk Hall from 7.30pm. Sunday 12 June continues the fun with the Producers’ Market, Chocolate Larder, Cookery Theatre, Street Food and Music, ‘Ask the Chef’ and the Children’s Tea Party all being held again at the same times; and with the addition of Sunday Lunch at the Harbour from 10.30am until 4pm. Looking for somewhere to stay?…..
Why not pack up your tourer and come to Silverdyke Caravan Park for the weekend? We currently have pitches available at our lovely family run park overlooking the sea, just 10 minutes drive along the coast from Crail. Just imagine ending the day sitting by your tourer or campervan in the evening sun, dining on some of the fabulous food and drink available at the Crail Food Festival. Please get in touch with us for more information about Silverdyke Park or the Crail Food Festival . 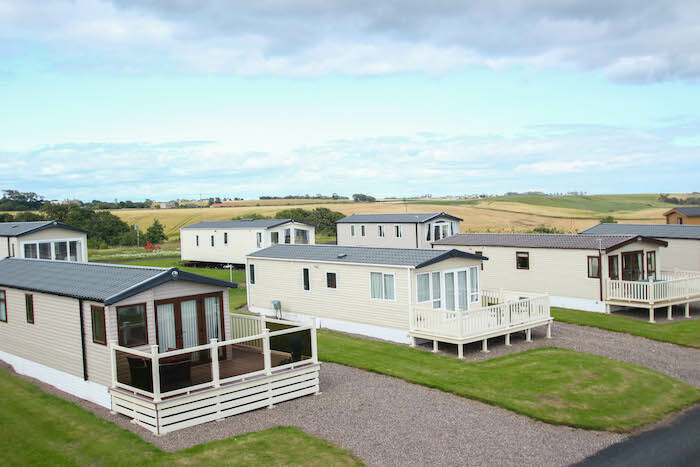 Fife is a very popular choice for holiday home buyers in Scotland, and the East Neuk of Fife, home to Silverdyke Caravan Park, offers some wonderful attractions for all the family, and the perfect holiday home in fife. Silverdyke is a new, friendly, quiet luxury park, run by a local farming family. 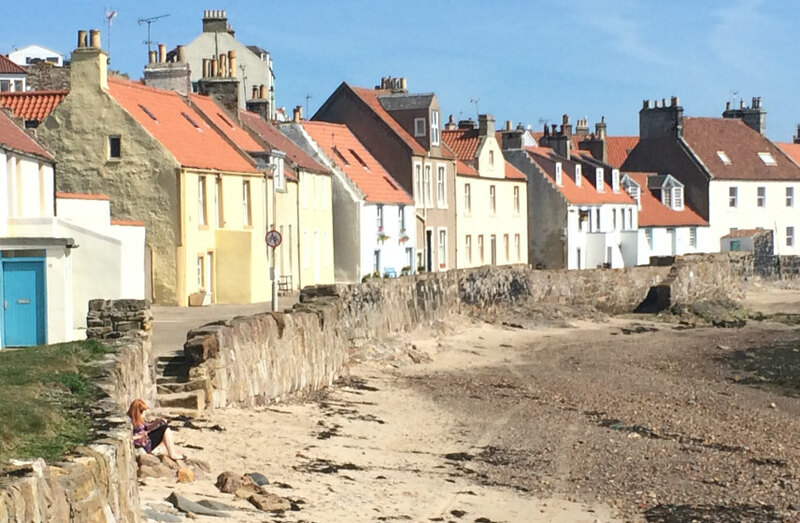 Silverdyke’s location – right on the stunning east coast, overlooking the Firth of Forth – is an easy walk to the nearest restaurant/pub and the pretty seaside villages of Cellardyke and Anstruther. There is plenty of space between the Silverdyke holiday homes and they all have gravel driveways, free Wifi and great sea views. Included in the price is delivery, all connections and boxing in. Prices start from £33,000, and any prices quoted are subject to change and valid for 1 month. Decking can be added to your holiday home for an additional cost. Silverdyke is open from 1st March until the 5th January each year for holiday home owners. Pitch fees for 2016 are £2143 including VAT and rates. (Lodges have higher fees). For the perfect holiday home in Fife, there is no better place or venue to escape to as a family. The most beautiful holiday homes in Fife are here for your enjoyment, and Silverdyke hosts nothing short of the best. ABI Westwood (Lodge) 43×13 2 bedrooms built to residential specifications and with canexel cladding for our exculsive luxury lodge rental. 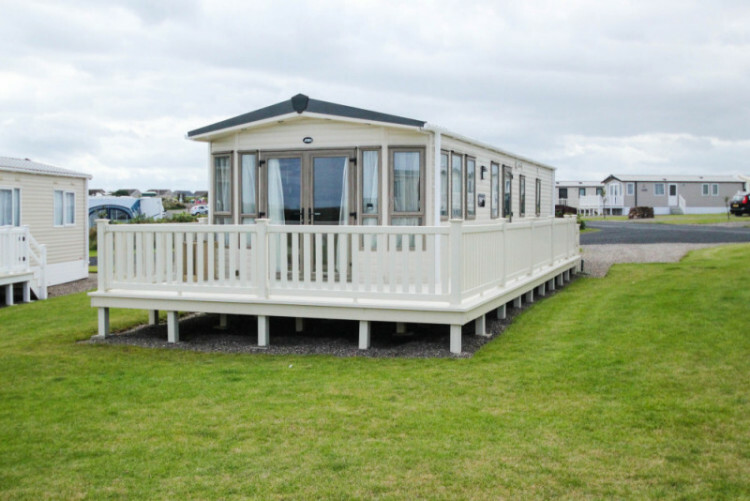 ABI Ambleside with full decking (2012) – on a stunning sea view pitch – available June. Call in to Silverdyke Holiday Park and find out why choosing your perfect holiday home in Fife could be one of the most rewarding decisions you will make. Fife is an area of Scotland with great natural beauty and a very long history of settlement. You will find Sillverdyke nestled in the East Neuk of Fife and right on Scotland’s stunning east coast. There are very many things to do in Fife and several not to miss local attractions, and here are some ideas to help you plan your holiday in this much visited corner of the world. One of the most famous and popular things to do in Fife is golfing. After all, it’s what we’re famous for. Golf has been played in St Andrews for 600 years and it is home to the oldest golf course in the world! If you are a keen golfer then a visit to any of the seven public golf courses in St Andrews is definitely one of the not to miss local attractions in Fife. 100 feet under the ground, between Silverdyke Park and St Andrews, lies the Bunker which was kept a secret for 40 years and was built to provide security for Scotland during the Cold War. The Secret Bunker is open to the public daily from 1 March. There is the Bunker itself, dormitories, a chapel, a broadcasting studio and a command centre to explore. Known as one of the hidden things to do in Fife, it really will separate your experience from the rest. Catch the May Princess from Anstruther to the Isle Of May to see an amazing variety of seabirds, including the beautiful Puffin. The island a perfect thing to do in Fife, and is also home to seals, and you will see the remains of a 12th Century monastery, the oldest lighthouse in Scotland, and the oldest bird observatory. With all these perfect and adventurous things to do in Fife, you can book your Scottish getaway now at Silverdyke Caravan Park and enjoy exploring these and many other not to miss local attractions in Fife. The Scottish Caravan show is just the place to discover all you need to know about owning your own holiday home and lodge in the beautiful surroundings of Scotland. The only place to start your next adventure is at Scotland’s largest caravan, motorhome and holiday home show event, hosted at the SECC. Most of the main manufacturers will be on location with a great selection of holiday homes and lodges set out on display in the huge SECC in Glasgow. The exhibition takes over the entire SECC complex and is open for four days from Thursday 4 until Sunday 7 February 2016. 10am until 6pm Thursday to Saturday and 10am til 5pm on Sunday. This is a wonderful opportunity to be able to browse and wander through a variety of holiday homes and to be able to compare models, layouts and specifications before choosing which one is perfect for you. There’s nothing as good as making memories with family on a caravanning holiday and the SECC caravan show caters for both seasoned, expert tourers as well as those looking to take your first leap into caravanning. By providing you with the widest choice of holiday homes Caravans to compare models, the show lets you choose just what suits you best and just what caravan home is perfectly tailored to your needs. The team at Silverdyke Park invite you to visit their stand which is situated in the holiday park village number H912. We can show you our latest phase of holiday home pitches, all available with beautiful sea views. We are on hand to answer all your pending questions about your own holiday home ownership, what and when to buy. We also have a fantastic small touring area with a beautiful amenity block with tremendous underfloor heating. While at the stand you can have a watch at our presentation that shows you the delights of our beautiful park, situated in the picturesque town of Anstruther, Fife. If you have stayed with us before please drop by and say hello. Parking is available at the large multi-storey car park located at the front of the SECC building post code G3 8YW for satnavs. There will be golf buggies on site to take visitors from the multi-storey car park to the main entrance. Tickets can be purchased in advance for a discounted rate. Adult advance tickets are £10 and advance seniors cost £9.00. Tickets are also available to buy on the door at all times during show opening and cost £12 for adults and £10.50 for seniors. For ticket enquiries call 0141 576 3779. With so many show only offers and discounts, it’s the perfect destination for all enthusiasts or those thinking about caravanning and buying their own holiday home for the first time. Happy New Year to all our holiday home owners and touring customers. Silverdyke Park is currently closed (and a bit damp and grey right now!) but we are looking forward to signs that spring is not far away, and getting ready to open again for holiday home owners on 1 March and tourers on 11 March. Even when it is chilly and grey, the East Neuk of Fife is so beautiful. From our office window we can see through the mist to the Isle of May sitting out there in the ever changing Forth River. The Fife Coastal Path is a bit boggy in places at the moment but, with a pair of sturdy walking boots and a cosy jacket, it is still possible to walk along the sea coast and enjoy the natural wildness of the East Neuk of Fife in winter…and afterwards to find a warm and welcoming pub or café open nearby to reward your efforts. There are many inviting places to go when the May Princess brings you back to shore. The Haven Bar and Restaurant is just a short walk from Silverdyke Park – tucked away on the old Cellardyke harbour front in a very picturesque building. It has a lovely atmosphere and friendly, welcoming staff. Back along the waterfront where the May Princess docks in Anstruther are a number of lively cafes and pubs. Coast Coffee is a tiny, cheerful place with outside seating where you can sit in the sun and enjoy a great coffee and something savoury or sweet to go with it. Then there are fantastic fish and chips to be found in several places around the harbour; ice-cream parlours, and cosy pubs and restaurants like the Boathouse. You can be assured that there are plenty of delightful places to discover – all in walking distance from Silverdyke Park – so why not book today on 01333-313-098. Please visit our website for more information. Fife is a stunning part of Scotland and Silverdyke Park is no exception to that rule. 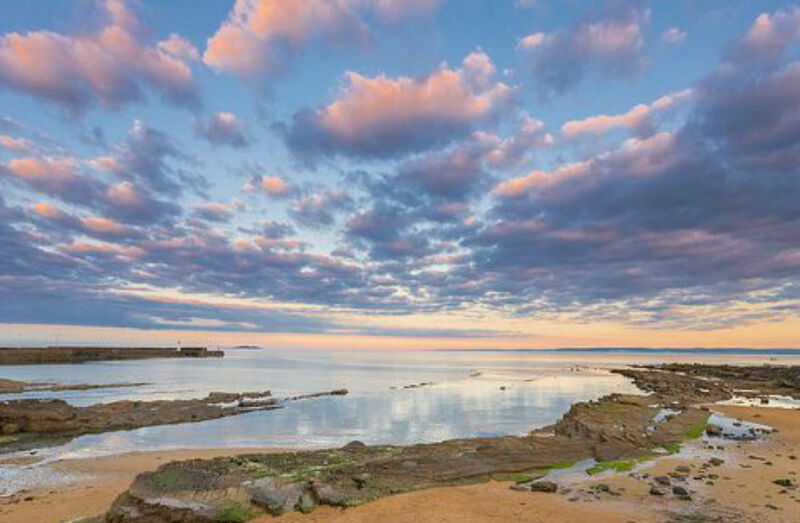 Settled between some of the most picturesque coastal towns, Anstruther being the closest, and less than ten miles from St Andrews, we’re in the perfect spot for getting out and about in Fife. Since there’s always something going on, it can get a little tricky deciding what to do during your stay. It’s why we’ve put together a list of the top things to do in Fife while you’re staying at our lovely Caravan Park. Located in the heart of Fife’s fishing industry, the gorgeous Anstruther, lies a special treat for those exploring the culture of Scotland. The Scottish Fisheries Museum opened in 1969 and represents a proud part of Scottish history. It tells the story of fishing in Scotland from the start to present day. Until the sixth of March, the Museum is showcasing their historic collection of fishing clothes in a special exhibition. Stop on by to learn more about the history of Scotland, there’s even a tearoom and gift shop. Of course, Fife isn’t just for the history buffs. There’s all sorts of sights, sounds and attractions to keep everyone happy. The St Andrews Aquarium is set in the perfect location, overlooking St Andrews Bay, and has a myriad of sea-life to admire and fawn over. From sharks and rays to meerkats, and now featuring the world’s smallest shark, the Aquarium is great for a family outing. The Aquarium’s Steprock Café is great for kicking back and relaxing, even if you’re not checking out the exhibits! It’s a little further off, sitting at thirteen miles away from St Andrews, but The Scottish Deer Centre has a reputation as one of Fife’s most popular visitor’s attraction. Boasting Fife’s only wolf pack and fourteen species of deer, the Park is great for walking through while taking in the splendour of nature. Be sure to check out their daily schedule to plan accordingly! Ripe with activities, there’s no end to things to do Fife. The beaches are stunning, the towns are full of history and life. If you’re looking for that special getaway, then this is the place for you. Book a spot at Silverdyke Caravan Park and start exploring. Making Your Holiday in Fife your Holiday Home. At Silverdyke, we want you to be part of our family. With the home like setting and everything you could need on the little steps of your holiday home, we get that it’s vital to feel at home away from home. Whether your nestling up in one of our beautiful, famous holiday homes, or our new, luxury lodges, we want Silverdyke to be your home from home. So with so many things to do in fife and around, we have the perfect plan to make Silverdyke your go-to escape from home, and create the perfect holiday in fife. With so much to do in and around Silverdyke, it’s sometimes hard to make a list. However, we know what the fans love. At Silverdyke, you have always got to golf. We are lucky enough to be located right in the middle of one of the most important regions for golf on the planet. As a whole, the region boasts over 40 outstanding golf courses. Fife famously contains the most rewarding golf courses in the whole of Scotland, which many a champion has walked across. So this holiday in fife is not only renowned by those famous faces, but it is sure to have a few famous tales to go along with it. At Silverdyke, you would be placed right in the heart of the famous course, and where else is a better place to be? Another excellent pro to having your holiday in fife and being located at Silverdyke, it’s the perfect fishing holiday location. As we are located near the village of Anstruther and its lovely Pier , it seems only fitting we are the go to holiday location for all our fishing enthusiasts. With the fresh, clear Scottish water, and our natural wildlife, a fishing holiday can surprisingly be a very relaxing one. Slow down, unwind, and just enjoy going back to the roots of nature. But with all the Scottish activities available, it seems as though it is an annual must to nestle in the heart of it. This holiday in fife would be one of the most memorable memory makers for the whole family. Whether it’s one of our classic holiday homes, or our new stunning lodges, we know that the home, heartfelt feeling of Silverdyke will reach you and your holiday. With the Scottish crisp air, and a day full of packed activities, there is nothing more idyllic that retreating to your personalised holiday home and having a good old Scottish meal, at your home away from home. Whether you’re looking to buy your first holiday home or planning your usual Fife getaway to Silverdyke Park, here’s a quick list of what’s on in Fife in 2016. Situated ten miles from the gorgeous town of St Andrews in the East Neuk of Fife, make the most of one of the most beautiful regions of Scotland in the New Year. A weekend long event that promises a mix of international and local artists, the Fife Jazz Festival is for the music lovers out there. A celebration of all types of jazz, the festival will take place in multiple venues all around Fife, from Kirkcaldy to St Andrews so be sure to check locations before you pick up a ticket! 2015’s Jazz Festival featured Ruby Turner and the ever popular Bachelors of Jazz, who knows which quality musicians will be invited along in the coming year? The Festival is set to take place over the first weekend in February. The 6th Annual Crail Food Festival is set to take place in June, a three-day event between the 10th and the 12th. It’s a popular festival, and with its harbour-side view of the ocean and array of delicious, local foods, it’s not hard to see why. While there’s no programme listed for 2016 yet, we’re certain that there’s something to suit everyone’s tastes; each year, there’s a mixture of evening dinners, music events and live cooking demonstrations. Did we mention the free taste-tests? Between the 18th and 25th of June, the scenic town of Cupar hosts an exciting, international festival of visual arts. It’s a striking event as, opposed to trailing through a gallery, the entire town is up for offer with many pieces of performance art and whole exhibitions set up within the town itself. 2016’s event will be curated, with fixed artists attending while in the past, the Cupar Arts Festival called for proposals and ideas from all over. They want to encourage a mix of the new and the old and it’d make for an exciting day out; Cupar is only half an hour away from our lodges! With a mix of culture, variety and fun filled events for all interests; Fife is the perfect holiday destination in the coming year. Be it summer or winter, there’s always room to discover just what’s on in Fife. With kilometres of stunning natural landscapes and beautiful historic towns, Scotland is one of the most impressive countries to hitch your caravan, hit the road and make new memories on the ultimate Scottish Road Trip. 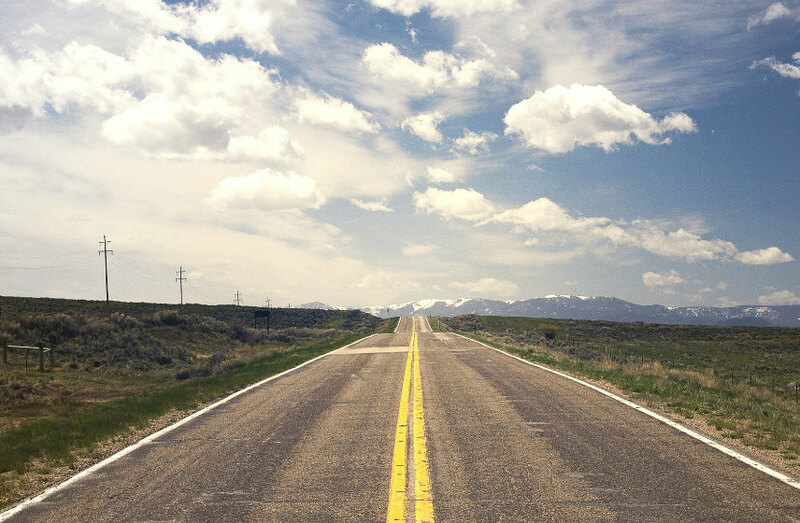 Clocking in at just 30,000 square miles, this small scenic nation makes it possible to explore major towns, historical landmarks and forgotten treasures all within a single road trip. While you might not have time to explore every site in Scotland (we do have a fair amount of wee islands too! ), you certainly can fit in a lot of historical milestones along the way. Situated in the heart of Scotland, our hometown of Anstruther is not far off the main Scottish road-tripping track. Perfectly positioned to explore Scotland’s east coast or venture out in any direction en route to Scotland’s best-known cities, we are the perfect overnight stop or starting point for your Scottish road trip. If you can abide by the North Sea wind, the rugged eastern coastline will take you on an eclectic mix of Scottish countryside, towns and cities. Starting off in the Scottish borders, travel up via the town of Ayton and Haddington on the A1 before heading through to Scotland’s beautiful capital. Cross the Forth Road Bridge into Fife and enjoy one of Scotland’s most scenic routes – the Fife Coastal Route. 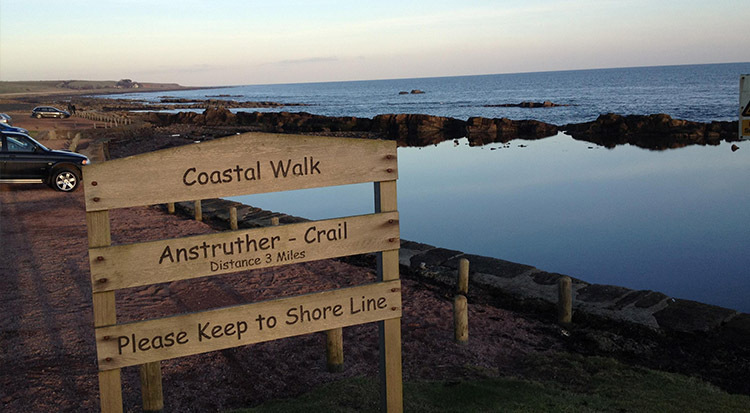 Pass through the enchanting town of Anstruther and take advantage of the many things to do. Next, take the road less travelled through the rest of Fife. Travel straight into Dundee via the Tay Bridge, and enter the Birth Place of Scotland – the county of Angus. Cross over the borders and enter the far-reaching county of Aberdeenshire. With the beautiful Granite City right on the coastline, make tracks to the fishing towns of northern Aberdeenshire. Once you’ve had your fill of Scotland’s rugged east coast, hit the road to Inverness and the Highlands before venturing down the west cost. If the coastal route isn’t your cup of tea, make Anstruther your base to explore the wonderful Kingdom of Fife. With a diverse mix of towns and countryside, and plenty of hidden gems along the way, road tripping through Fife is a Scottish road trip extravaganza all on its own. A stone’s throw away from Fife’s three principle towns, Dunfermline, Kirkaldy and Glenrothes, set out from Anstruther to discover Fife in all its glory. Head to the home of golf, St Andrews, and take in a few rounds at the legendary Old Course. Stay on par with a trip to the Golf Museum, or visit the renowned St Andrews University. Or if Dunfermline is your destination of choice, make sure you stop at birthplace of the last king of Scotland, King Charles 1, at Dunfermline Palace and Abbey. With so much to see and do, an abundance of historic attractions and endless possibilities wherever you choose to go, Fife is every Scottish road trip enthusiasts dream.